It was our Christmas Fayre on Saturday. 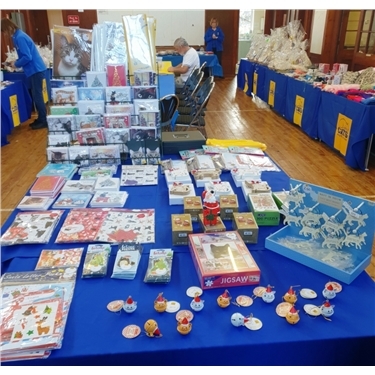 Although the hall became a bit quiet at times our visitors were in a spending mood and we raised over £777 - with more to come from the raffle! Jean got to say hello to two dogs who came along with a couple of our regular supporters. Big thank you to all volunteers who helped with preparations like making cakes and potting up plants, and those who helped on the day and clearing up. Your hard work made the day a success!